Last weekend I was visiting a graduate, now retired , LtC Karen Ward. I was invited to spend the Saturday helping with the Rotary Club selling food to benefit the suffering the people of Haiti. 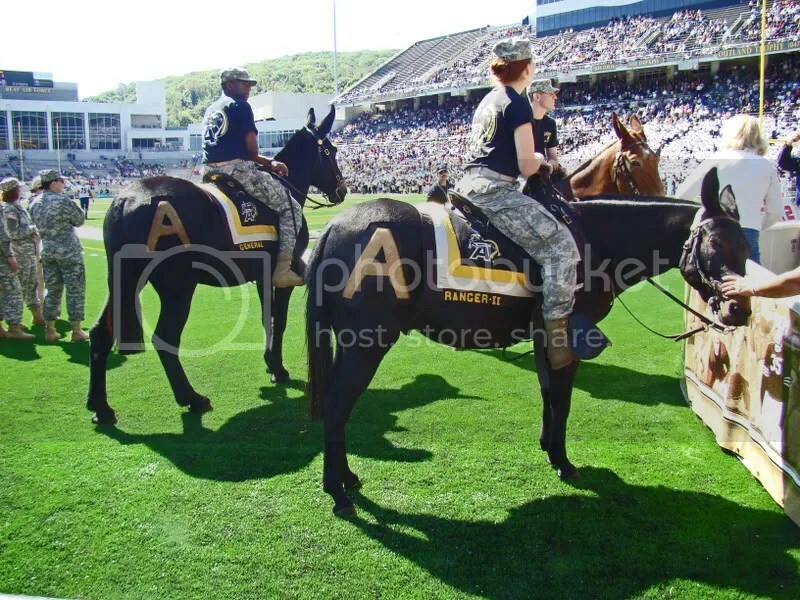 I got to pop in several times see some of the game, the corps, and the mules. The security was very tight. I had to send the information on my license , a week in advance for screening . 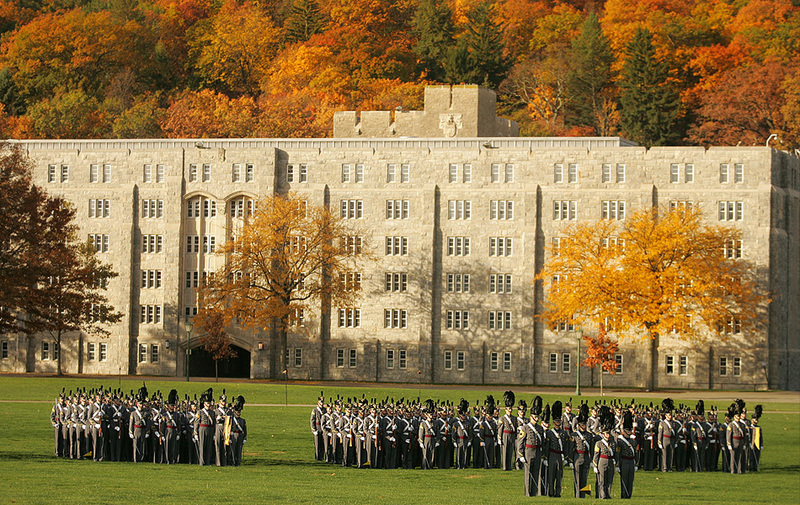 The Corps of Cadets sit together and civilians are not allowed to get close. Karen said, “Imagine the celebration by terrorists if they took out a huge group of future Army officers!” MP’s were walking around with very serious looking machine guns. Such spectacular color even in this late season. On football Saturdays, there is a parade but though one was schedule, the rain prevented it. I am sure the cadets were not disappointed but the parents who were visiting for Parent’s Weekend were. I guess, though, nothing disappoints them because of the time they spend their children. These are Plebes, or first year cadets who along with academics, leadership classes, and military science have lots of physical activity. 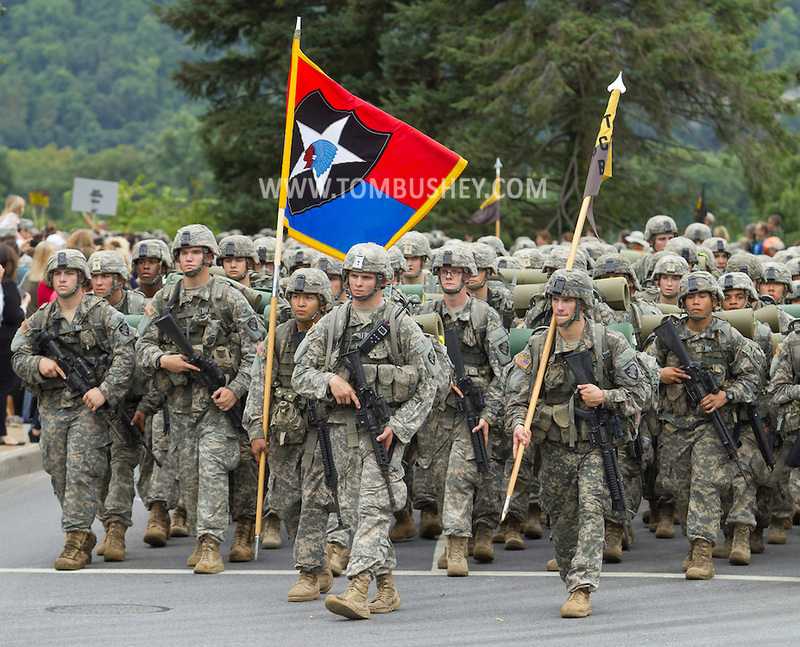 I heard recently that in just a few years, 70 % of the eligible men and women will not be able to pass the physical fitness and weight requirements for the army. The video below is so much fun to see in person. The helicopters didn’t fly on Saturday, either, due to the inclement weather. Such a surprise for first time visitors to see the ball be parachuted from a helicopter to start the game. It is a thrill no matter how many times you see it! 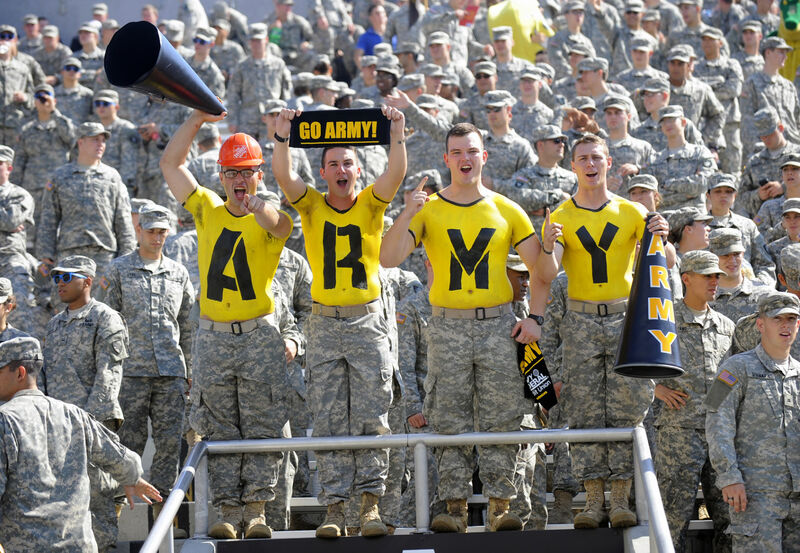 This entry was posted in Architecture, service, Uncategorized, USA and tagged Academics Leadership Physical Fitness, Army, fall trees, football, game ball parachuted in, Helicopter, Hudson River, Plebes, Rotary Club of Service, victims of Haiti, West Point New York. Bookmark the permalink.